Embedding best practice in project delivery is one of our core roles. provide resources and technical advice to project delivery agencies on best practice project delivery. 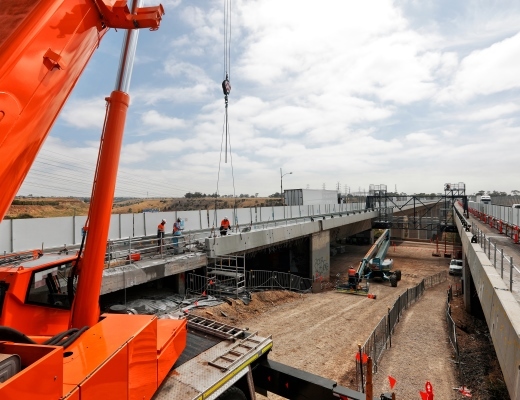 We provide technical scope and cost advice on the procurement and delivery of Victoria’s infrastructure program, as well as specialist advice and support for project handover. OPV will develop a knowledge hub as a resource for project delivery agencies to benchmark project development and delivery outcomes, and identify best practice, emerging issues and risks. We work with the Construction Supplier Register to pre-qualify contractors for Government work. This is part of our role to maintain the standards of public sector infrastructure projects. Access the Construction Supplier Register for building and construction industry consultants and contractors.